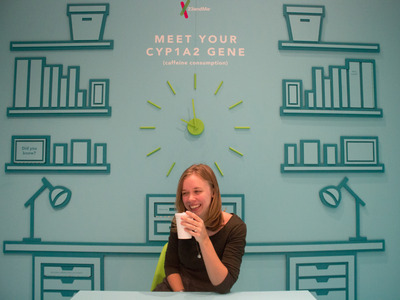 It’s been three years since 23andMe, a consumer genetics company, relaunched a new test that passed the scrutiny of the Food and Drug Administration and told you everything from how much DNA you share with our Neanderthal ancestors to how much caffeine you likely consume. Consumer genetics tests like 23andMe have been gaining in popularity. 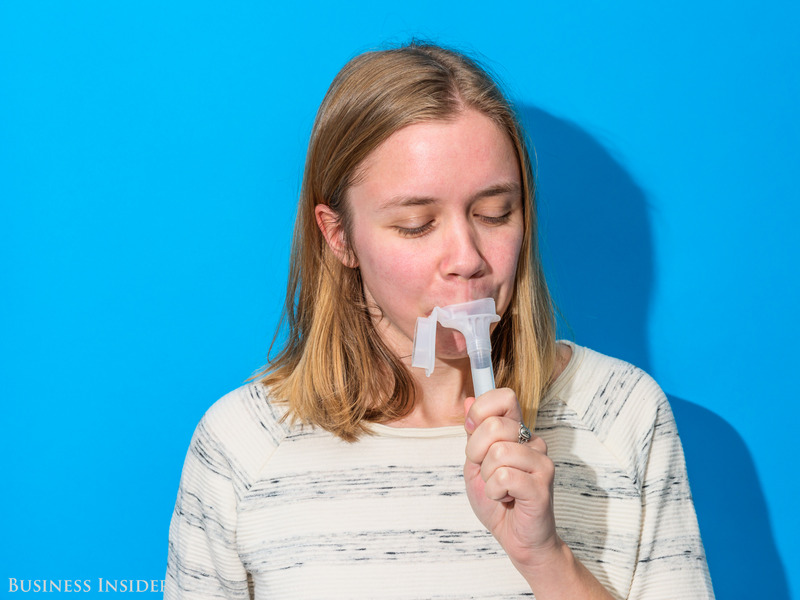 Over Thanksgiving weekend last year alone, shoppers bought 1.5 million of 23andMe rival AncestryDNA’s kits. 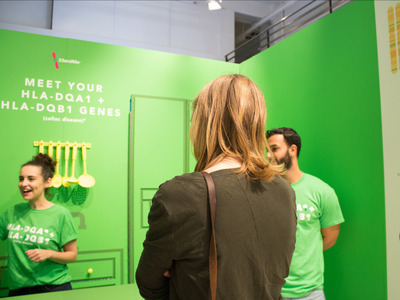 In October, 23andMe opened up an interactive pop-up exhibition in the middle of Manhattan to help consumers visualise what their tests can do and better understand the data they might receive if they choose to take the test. 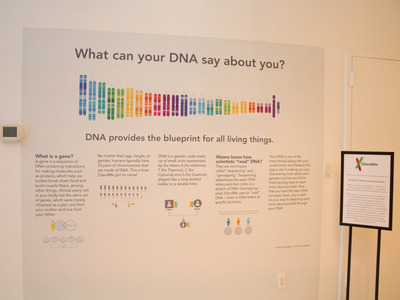 It’s part of the company’s new ad campaign aimed at highlighting the information you can glean from a report beyond ancestry. 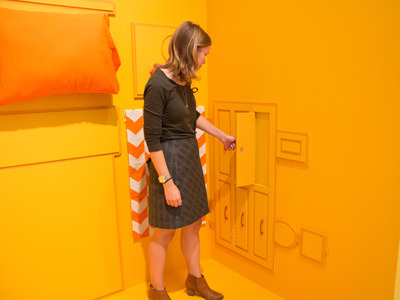 The limited-time exhibit was open to the public last weekend. In case you missed it, here’s what it was like to visit. Walking in, we saw a series of colourful stalls arranged in a style that you would typically see in a modern art museum. On the outside of the cube, there’s a board that gives you a brief overview about the trait. 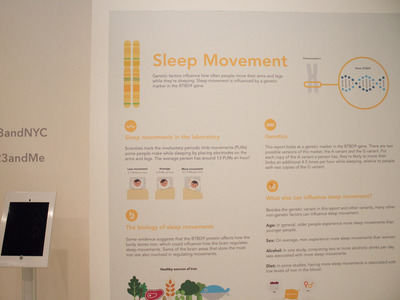 At each stall, there were staff members who told us more about the specific gene and its functions. 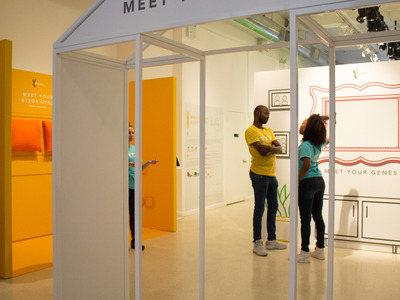 They also help guide you through the exhibit. 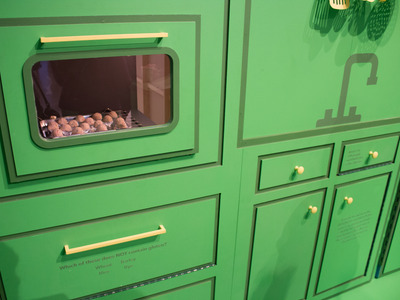 The ‘fridge’ in the kitchen opened up into the next exhibit. 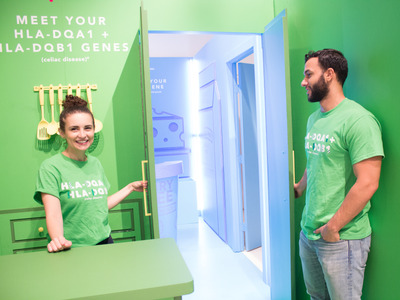 The ‘fridge’ held the exhibit centered around the LCT gene. 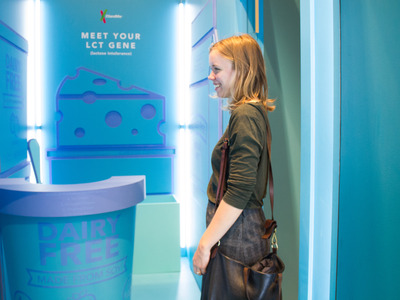 A mutation in this gene can result in lactose intolerance in humans. 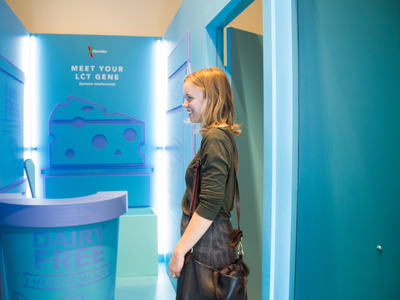 We learned that lactose intolerance is a trait that humans can be born with, but it can also develop as we age. 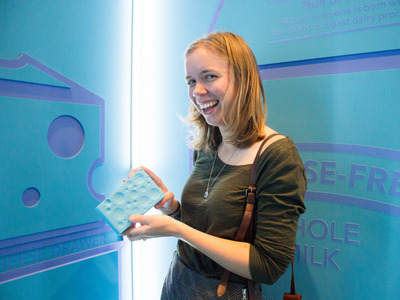 We also learned that fermented dairy products like aged cheese — cheddar and parmesan for example — contain the least lactose, so they’re not as bad for those who are lactose intolerant. 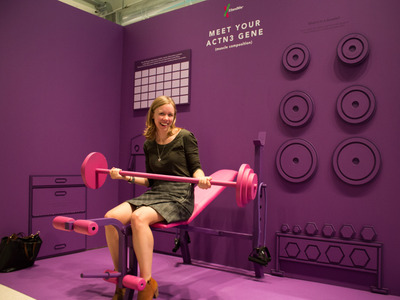 The next station is styled like a gym, and that’s because it showcases the ACTN3 gene, which is in charge of muscle composition. It can tell you if you have a genetic predisposition for certain types of sports like sprinting. It reminded me that when I took the test, I learned that I’m not predisposed to be a sprinter. The next stall is coffee themed, and there’s a coffee bar complete with a barista at this station. That’s because this station is centered around the CYP1A2 gene. 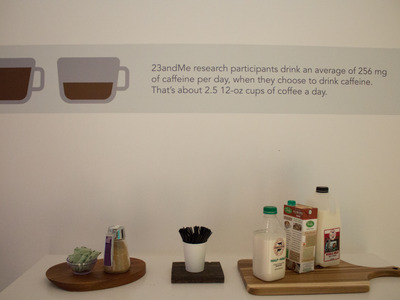 This gene can predict how much coffee you drink a day, since it controls how the body metabolizes caffeine. 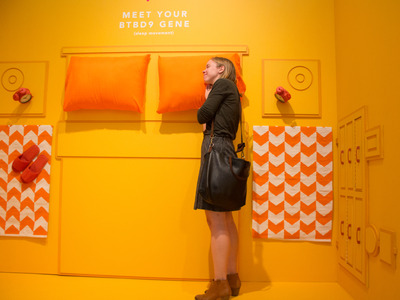 It’s important to note that although genes are important, they don’t tell the whole story. They’re a good starting point for laying out the plan to our body’s architecture, but this basic outline isn’t set in stone. 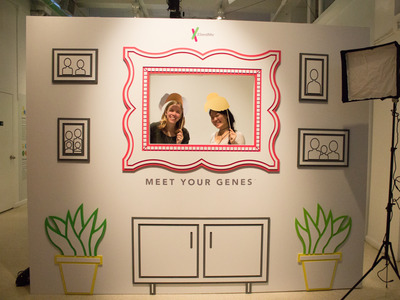 Studies done with twins have shown that epigenetics, or the influence of environment and lifestyle, can also have an impact on how physical traits manifest.